Time was when English was the lingua franca of international business but technology and the Internet changed all that. Now, if you speak Putonghua, Waray-Waray or Sendai Ben, you could become the darling of recruiters after your MBA program. OK, so you can’t wrap your tongue around those words but do you know that each of these languages is spoken by more than a million people, in China, the Philippines and Japan? Answer in the affirmative and you might still enjoy a teensy advantage for it suggests an interest in diverse cultures or someone with multi-cultural experience. But why all the fuss about these tongue-twisters? Well, the truth is that language skills are fast becoming a very valuable asset among global companies, whose operations are spread across continents. Many have regional offices in far-flung countries, while others do business with companies in geographies other than their own and their operations are now expanding to the non-English speaking world. Experts say the need is even greater in the financial services sector, especially investment banks, whose clients and operations scattered across the globe. Nothing drives the point home better than the ‘we are hiring’ pages on the websites of a global software company like India’s Infosys or a global business consultancy and solutions company like Tata Consultancy Services. One thing is certain. If you are considering majors such as International Business, Global Finance or Global Management in your MBA program, you must seriously consider learning a second language. Being an MBA grad who knows the local lingo is necessary not only to transact business per se, it also means you understand your clients, customers or business partners’ culture, its nuances, business practices and their ethos – a really huge plus. For instance, learning the German language will soon teach you that missing a deadline is just not an option in that country and that you never shake hands with one hand in your pocket. Here are some other benefits of being a genius at business and a home-grown linguist: you come off as globally savvy, possessing an international perspective, as a global traveller and a professional who can work in different cultures – attributes many employers prefer to see in their senior managers. Being conversant in more than one language also helps grow trust among contacts, clients and foreign associates and thereby build networks which are the pivot of business opportunities. Being bilingual or multi-lingual could also increase your chances of being posted overseas or getting a foreign internship. Some experts also believe it could sweeten your remuneration because, as an MBA grad, it potentially makes you a more valuable asset. 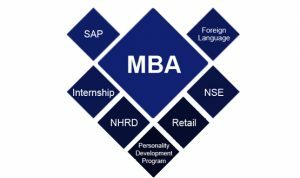 How much is the demand for multi-lingual MBA graduates? According to the CBI-Pearson Education and Skills Survey 2015, 45 per cent of respondents saw foreign language skills as beneficial to business although they did not view it as a recruitment requirement. Around 36 per cent recognised language skills among employees as helpful in building relations with overseas suppliers, customers and other contacts. 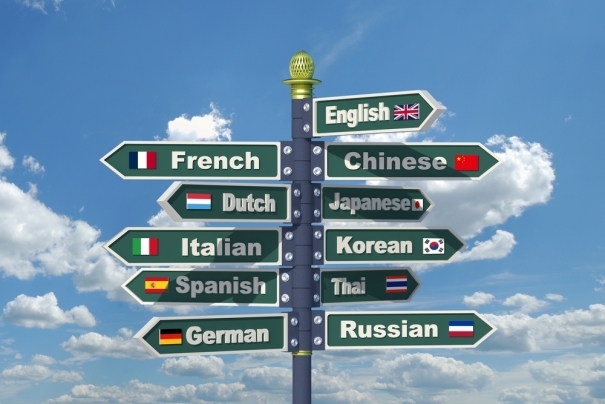 Languages can also help individuals in developing their careers: 26 per cent said language skills assist staff mobility within the organisation, facilitating international working. The report revealed that foreign language fluency is especially valued in sectors like manufacturing, where there is always considerable contact with overseas suppliers, regional offices, customers, etc. That explains why 44 per cent of manufacturing firms saw foreign language fluency among their staff as helpful in building relations with overseas contacts. So, what languages are trending on recruiters’ radars? Turns out those in demand are not (entirely) of the tongue-twisting kind just yet. Employers are looking for MBA grads who are fluent in European languages such as French, Spanish and German. Spanish is especially popular as Spanish-speaking emerging economies in Central and South America are experiencing solid growth, opening up trade and investment opportunities. We all know that China has become a global economic power to reckon with, presenting seemingly limitless business opportunities. That’s why Mandarin and Cantonese, while tough to learn, are inching up the charts. Then there’s Arabic, which gained 4 percentage points over last year, in the CBI-Pearson survey, pointing to growing cross-border business with the Middle East. A post on language skills and MBA grads would not be complete without mentioning ‘global MBA schools’, which not only encourage a working knowledge of a foreign language in their students but sometimes insist on it. So, for instance, Madrid-based IE Business School takes classes in both English and Spanish, while it is mandatory for MBA students at HEC Paris to learn French as part of the curriculum. Ditto for the London Business School. María José Verastegui, Director of Corporate Partnerships at Barcelona-based ESADE Business School, says most MBA students at the school are conversant in two or three languages. “A working knowledge of another language helps with cultural integration, and broadens and develops personal and professional relationships,” says José Verastegui, who points to the vital role relationships play in a business environment. There is an obvious gulf between these business schools and the ‘less international’, even if prestigious ones, in the US. Global business schools have a much more ethnically diverse student and faculty profile; a curriculum that has a strong international bent; recruitment opportunities across the world; and they stress language fluency. But, hey, don’t panic. There are many ways you can pick up a working knowledge of a new language. You can listen to free podcasts and take language lessons online; brush up on your new skill by watching foreign language programs on TV; and read newspapers in your newly acquired language, online. Of course, you could always take actual classes and join a local conversational group (they can easily be found on the Web), so that you can practice. Doesn’t matter how you do it; just mind your language!